Geneva: Horyou, the social network for social good, announces the 3rd edition of its Social Innovation and Global Ethics Forum (SIGEF), a leading side event of COP22, the UN Climate Change Conference of which will take place in Marrakesh, Morocco in November of this year. Titled Shaping Better Times to Come, SIGEF 2016 will welcome a wide array of internationally renowned speakers to cover the UN Sustainable Development Goals and, through constant positive dialogue with its participating officials, private sector, NGOs and civil society, propose strategies and solutions for a better future for all. SIGEF is organized by Horyou to give visibility to initiatives that contribute to advancing social innovation and global ethics worldwide. Plenary sessions, panels, cultural activities, networking events and interviews will take place during the 3 days of the event. The first SIGEF to be held in Africa will take place in Palais des Congrès Marrakesh, which already hosted COP7 in 2001. The SIGEF 2016 will have plenary sessions and panels about topics like Access to Health Services and Drinkable Water; Affordable and Clean Energy; Cities of Tomorrow and Sustainable Finance and Impact Investment in Africa. SIGEF 2016 will also showcase cultural events such as the Night for Hope, on November 9th, with concerts and standup performances before 1500 people. On November 10th, a Horyou Foundation Dinner will host special guests to explore new groundbreaking approaches to philanthropy with Spotlight, the first social global currency for economic inclusion. The SIGEF Awards will reward humanitarians, innovators and organizations during a special ceremony just before the closing session. And last but not least, NGOs that are Horyou members will have a dedicated area to expose their projects during the event. Says Yonathan Parienti, founder and CEO of Horyou: “We are honored to offer such a variety of activities to a broad and diverse public, to join forces with COP22. With SIGEF 2016, Horyou truly meets its purpose to Connect for Good”. 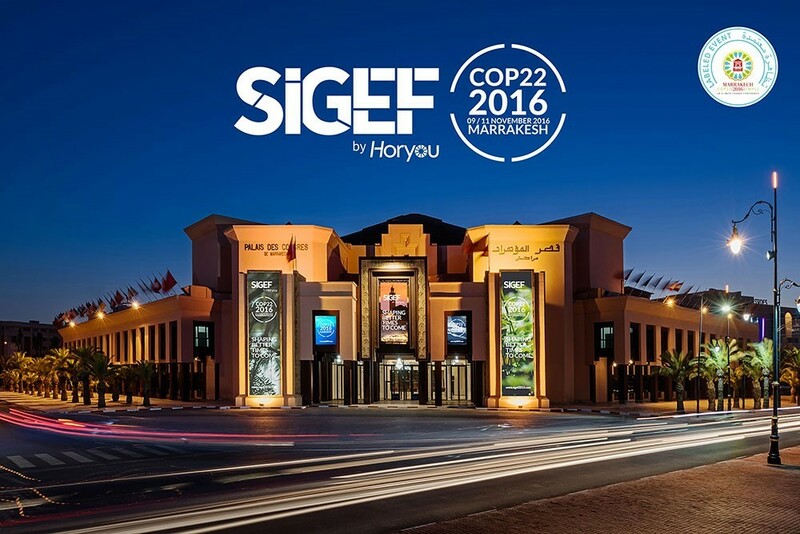 SIGEF2016 is organized by Horyou and is the result of the collaboration with dedicated partners such as founding partners Eneco Holdings and Horyou Foundation.